Federal estate tax laws have changed recently, reflecting shifts in how families pass along wealth. The current exemption threshold is indexed for annual inflation, and as of this year, that figure is $5.45 million. This higher threshold means that the great majority – more than 98 percent – of a New York CPA’s clients have estates that are exempt from the national gift and estate tax. That’s good news, but it doesn’t tell the whole story about estate planning and tax preparation. Even if your estate is below the threshold, estate planning for your family’s future is still an important part of their financial security. Together, you and your accountant can map out a plan for generational wealth that you can leave as a lasting gift to those who are most important to you. Wealth management and asset protection are meaningful whether your estate is worth $50,000 or $5 million. Appreciated assets that are exempt from estate, gift, and transfer taxes may still be subject to net investment income tax and, depending on their value, capital gains taxes as well. Traditionally, your CPA might have recommended an estate planning strategy that minimized the value of these assets as they changed hands to heirs due to tax requirements. Today, estate planning takes an entirely different approach, one that often maximizes the value of assets. The American Taxpayer Relief Act, or ATRA, of 2012 dramatically changed the landscape for estate planners and financial advisors. Now, valuation discounts are predicated on the maximum value of assets, so it’s in your and your financial planner’s best interests to apply top value to appreciated assets. Charting a course between earning your greatest valuation discounts while minimizing possible capital gains and net investment income expenditures is your CPA’s goal. Asset transfers designed to protect wealth from federal estate taxes that are no longer assessed could even be counterproductive. 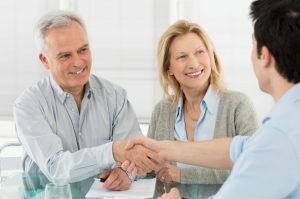 While estate planning resources and property transfer options are available online for the do-it-yourself financial planner, these applications can’t provide insight into which choices are best for reducing capital gains tax burdens while recognizing the full value of the estate and its assets. Planning your estate is about more than what you leave behind; it’s also about how well you live today. The knowledge and expertise of a CPA can also reveal other options for your estate planning needs, including setting up your IRA and managing retirement funds so you can enjoy your wealth today while saving wealth for future generations. With your CPA, services such as revocable living trusts and trustee bank accounts could provide solutions for your specific needs rather than a one-size solution that may not fit all lifestyles. The key to estate planning that works for you now and ensures security for your family in the future is communication with a financial planner who can develop a plan for you. Even without a significant tax burden from federal inheritance taxes, your estate deserves careful planning and management. This entry was posted in Business, CPA Services Blog, Tax Tips and tagged Estate Planning, Estate Planning for Everyone by sgadmin. Bookmark the permalink.